LEXINGTON, Ky. (July 12, 2016) — Research that informs evidence-based policy is in heightened need in this era of fiscal austerity and economic and demographic change. To help meet that need, the University of Kentucky announced today the establishment of the Kentucky Research Data Center (KRDC). "With KRDC, the University of Kentucky joins an elite group of universities, and is the only one in the East Central region of the country, to be home to a National Science Foundation (NSF)-funded Federal Statistical Research Data Center," said UK President Eli Capilouto. James Ziliak, Gatton Endowed Chair in Microeconomics and director of the University of Kentucky Center for Poverty Research, will serve as executive director of KRDC. "This center will open important new opportunities for the faculty and graduate students at UK," said Ziliak. "In addition, it gives us the ability to work more seamlessly with other leading universities in our region to conduct cutting-edge and policy relevant translational research in the social and health sciences." Ziliak served as principal investigator on the highly-competitive NSF grant proposal to establish the KRDC. The co-principal investigators are UK faculty members Chris Bollinger (Economics, Gatton College of Business and Economics), Eugenia Toma (Public Policy, Martin School of Public Policy and Administration), Glen Mays (Public Health, College of Public Health), and Derek Young (Statistics, College of Arts and Sciences). This project establishes the KRDC in Lexington as a partnership between the Bureau of the Census and the University of Kentucky, and joins an existing network of two dozen such RDCs throughout the nation. Besides the faculty and students at UK, inaugural consortium partners are Indiana University, Ohio State University, University of Cincinnati and University of Louisville. UK is the lead institution and KRDC will be housed in the newly renovated and expanded Gatton College of Business and Economics building. "This center will enable researchers at UK and in surrounding regions to have an immense economic, social and health-related impact by providing restricted access to data through a partnership with the Bureau of the Census," said Lisa Cassis, UK's vice president for research. "This prestigious NSF grant award will move researchers forward in understanding factors that contribute to health and economic gaps in the Commonwealth." 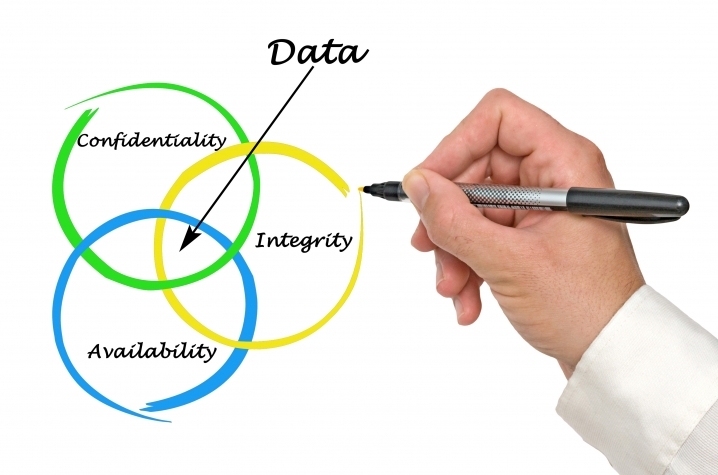 For purposes of preserving respondent confidentiality, many major social, health and business surveys suppress identifying information such as state or county of residence from publicly released data. This inhibits certain forms of research, including tracking the health and economic status of individuals across states and over time, characterizing urban growth and decline using address-level unit status records of living quarters and nonresidential units, and the more formal statistical evaluation of the effectiveness of public policies. However, restricted-access research data centers (RDCs), such as the KRDC, permit the study of issues having scientific and social import within a secure environment that ensures respondent confidentiality. The establishment of the KRDC will have a broad impact on the infrastructure available to scholars and students in the East Central consortium region, whose translational research will impact economic, social and health policy both regionally and nationally. Moreover, because many researchers at KRDC’s consortium schools currently collaborate with colleagues at universities across the country with an RDC, the establishment of KRDC will significantly ease those collaborations, improve research productivity, advance the dissemination of published data products, and foster new research networks. The investigators affiliated with KRDC reflect the cross-disciplinary expertise of the consortium schools with the areas of economics, sociology, public health, public policy, statistics, nutrition, education, social work and medicine represented. They will conduct research on topics spanning income inequality, poverty measurement and anti-poverty policies, education, health disparities across geographic regions, race and gender, domestic violence and substance use, food insecurity, immigration, and firm dynamics and government procurement processes. In the secure data environment, the projects will utilize nearly 20 different federal statistical datasets supported by the Bureau of the Census, the National Center for Health Statistics, the Agency for Healthcare Research and Quality, and other federal agencies that contribute data to the RDC network such as the Bureau of Justice Statistics, Housing and Urban Development, Bureau of Labor Statistics, and the Department of Agriculture. Gatton College Dean David W. Blackwell praised the teamwork involved in earning the NSF grant and said it is one more example of how UK continues to build upon its national reputation for enhanced research collaboration across a wide number of disciplines. "In order to continue to thrive today and in the future, major research universities must lead the way in working together across their own campuses and beyond," said Blackwell. "KRDC epitomizes that spirit in principle and in practice." Funding for KRDC comes from NSF (Sociology Program, Economics Program, Geography and Spatial Sciences Program, and the Methodology, Measurement, and Statistics Program), the Office of the Vice President for Research, the Office of the Provost and several colleges.